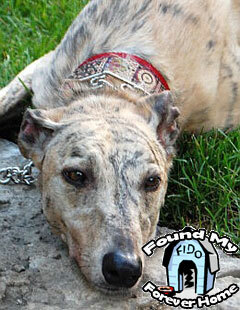 Speedy is a member of Micheala’s pack and her first Greyhound. A coyote hound bred in Alberta to protect livestock, Speedy was a real handful when he arrived. He has grown into a beautiful and loyal boy who never leaves her side.